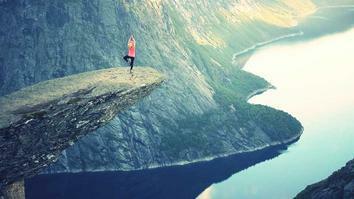 We all know that yoga is one of the best-known practices for stress relief and wellbeing. But for many of us, finding a local studio or even finding a spare hour for a practice can seem like a luxury we can't afford. With this in mind, Adam Husler has put together a series of short yoga sequences and mini asana tutorials that give you an effective, safe practice that you can do anywhere, at any time. 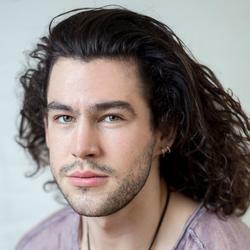 With experience getting punched in the boxing ring, sweating on the ultra marathon road, channeling his inner Chuck Norris in dojos and getting lost trekking the world, Adam undoubtedly brings a unique perspective to his yoga teaching. Find more openness in the shoulders by creating strength and stability in the lower back. Deep releases for the hips and pelvis. Deep releases for the hamstrings and upper legs. Optimise your practice by learning the correct mechanics of up/ down dog and vinyasa transitions. Lengthen the side body with deep side stretches and twists. A class that focuses on opening the oft-neglected thoracic spine, in order to fully open the back. A gentle morning sequence to awaken the body. The perfect flow to wind down the body at the end of a long day. Learn the mechanics of Warrior III, a popular balance that requires skillful engagement of the core and back muscles for the optimum benefits. All levels. Strong poses to strengthen the core, incorporating arm balances. Intermediate/Advanced. Deep opening postures to help release tight hips and lower backs. Adam demonstrates how to get the best from each warrior posture to help each person find the best alignment to suit their body. Whether you’re a beginner or a competent crow practitioner, Adam explains the full mechanics of this arm balance. 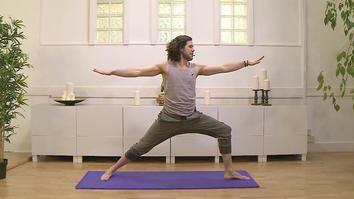 Yoga for the Modern Life is a 4.5 hour course, comprising of 13 different yoga sessions with Adam Husler. 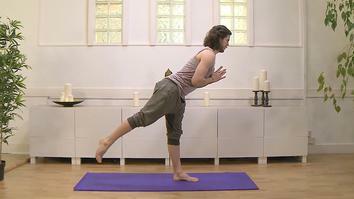 Join us as Adam guides you through short sequences and mini asana tutorials that perfectly complement busy modern lifestyles and bodies.